The Summit is a great choice for the traveler that is looking to store and access belongings and gear from the rear of their vehicle. 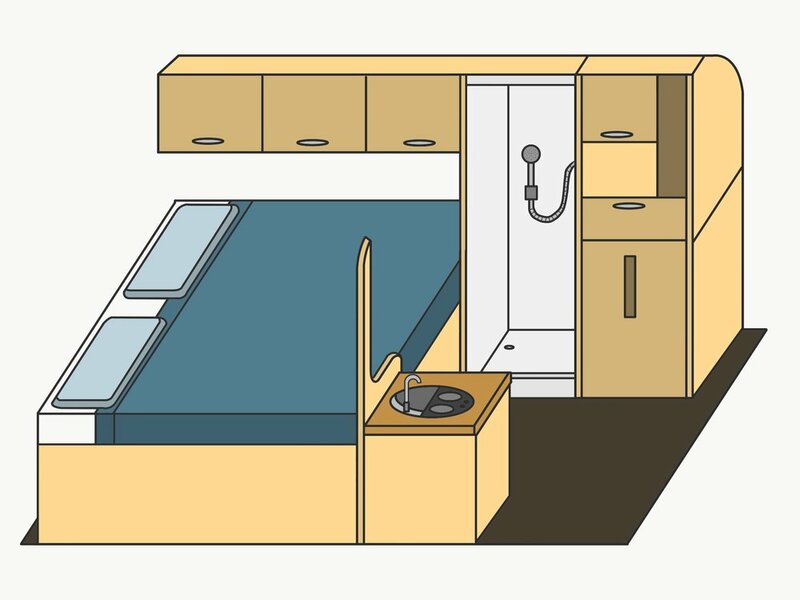 A fixed platform bed allows for easy access and no set up after long days on the road. The Summit is the perfect option for a solo traveler. This package is offered on the Ram ProMaster 2500 and 3500 chassis, 159” and 159” extended. The Summit model can be upgraded with an indoor shower enclosure. The shower enclosure will replace a portion of overhead cabinets, and a storage cabinet with counter top space, as seen below. 6% (or your state’s) tax not included in Conversion Estimate Price. All van package prices are subject to change due to increases such as tariffs or outside vendor increases. Conversion estimates, including upgrades, do not include the purchase price of the vehicle.